When you visit Aberdeen Dental for your preventative dental care needs in BC, you’re keeping your smile beautiful and healthy. A painful mouth or missing teeth can damage many aspects of your life. Your sleep, social life, career, or education can suffer. Painful or inefficient chewing sets off a cascade of health problems, including nutritional deficiencies. Research has also linked dental disease to systemic problems, such as heart disease and diabetes. You’ve come to the right place to prevent whole-body problems and to keep your family healthy and happy. The team is honoured to be your “dental home.” Aberdeen Dental wants you to come back for the recall appointments that are the foundation of preventive care. The Vernon office has been designed with your comfort in mind. From coffee while you wait to iPads for the kids, we ensure a pleasant experience. You’re less likely to fear the dentist and may even welcome visits, seeing the friendly faces you’ve come to trust. Fear of the dental bill is minimised when you keep routine visits. 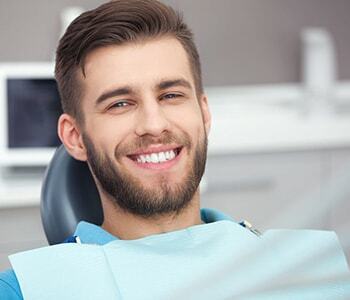 Generally, when your dentist catches problems early and intervenes with proactive care, costly and time-consuming restorative treatment is avoided. Why have a filling when a sealant prevents the cavity? Why require a root canal and crown when a filling treats earlier-stage decay and prevents serious infection? Baby’s initial visit is about parent education. Preventative dental care means so many different things. Discuss any questions or concerns at your next visit or call (250) 545 3319.